Significant concerns about the poor health and prevalence of chronic illness amongst a number of ethnic minority populations have led to heightened debates about how best to improve the situation. For some the answer is to see their experiences as part of the general social class inequality in health, but recent evidence questions the extent to which social class can explain the variations in health which ethnic minorities experience. 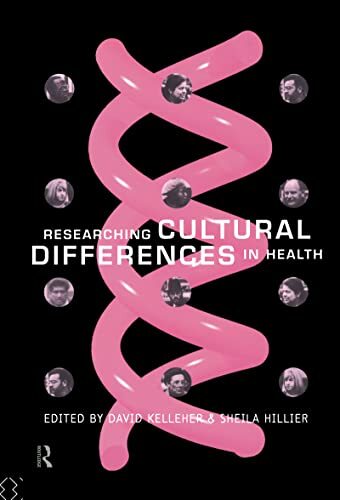 Researching the Cultural Differences in Health offers a range of accounts of how people in ethnic minority groups perceive and manage their illness. Some of the chapters focus on Bangladeshi, and other South Asian groups, as well as Afro-Caribbeans and Irish people. The illness conditions discussed include diabetes, hypertension, sickle-cell disorder, mental illness and coronary heart disease. This book will provide invaluable reading for those involved in providing health services for ethnic minorities, and all lecturers and students in medical and nursing education as well as those studying sociology and social administration. "This book deserves a wide audience among social science health researchers in Britain as it makes explicit the theoretical issues that are at the center of current debate there. Also, there are valuable discussions of specific health problems among the various minority groups studied and how ethnographic research can add insight into these problems."